Every year, Valentine’s Day is celebrated in classrooms with decorations, fun cards, and of course – lots of sweet treats. Making sure every child has something to look forward to is so important! This is especially true when it comes to children with food allergies. To make sure of just that, we’ve partnered with My Gluten-Free Miami to come up with some helpful party tips & creative sweets that keep everyone happy (and safe) this Valentine’s Day. 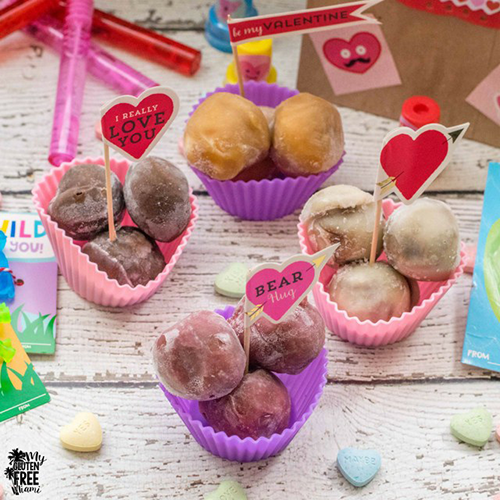 Click here for more details on Valentine’s Day party ideas, and see how to incorporate our Big 8 allergy-friendly bites! Sign up to learn more about kid-friendly sampling events, coupons, giveaways and more! By subscribing, you're giving us permission to email once in a while about the healthier, exciting things we're up to. You can always unsubscribe later.